I have lately been a teensy bit obsessed with the above named online activity. For those of you still tuning in, pinterest is essentially an online place where you can create your own filing system for images you want to save. In the case of Passionflower, for instance, we want to save, among other things, images of interior decor that inspires us, or display ideas or cool flowers. But you might want to save images of kitchens you love for your upcoming remodel, or place to travel to, or ideas for your wedding. And the really fun (slightly voyeuristic part) is that you gain access to other folks filing systems as well. That means I can look at (and choose to "pin") images from my favorite portland floral designer or a photographer in thailand . And, for me, it is endlessly fascinating to see what other people find interesting or beautiful or meaningful. And I especially enjoy looking at my customers files (or "boards" as they are called in pinning land). 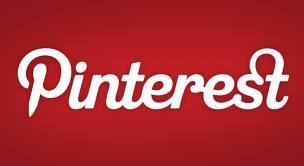 You can check out our pinterest boards here and you can "follow" us and then, even better, we can follow you!!!!! Highly recommended if you are looking for a little eye candy but be warned, there is a slightly addictive quality. I agree! It is totally addictive!